The authors of this booklet, together with Alix Morgan received the annual Award for Excellence and Innovation in Dementia Care, sponsored by the Alzheimer's Society and the Queens Nursing Institute for their work in setting up and developing the Candlelight Group which responds to the spiritual and religious needs of patients in the Downs Day Hospital by providing a weekly act of worship. The booklet, funded from the prize, begins by reflecting on dementia itself and on the pastoral, spiritual and religious needs of people with dementia. It then moves on to issues of worship with such a group and offers a set of principles to be followed when planning a service of worship. It looks at thirteen practical considerations to be taken into account ranging from the space, aspects of liturgy, music and symbols to problems of communication. A short section considers the application of their philosophy to other faiths. The second half of the booklet headed Resources gives a reading, hymn or song and ideas for a time of reflection for every week of the year following the Revised Common Lectionary and an Appendix provides the complete service outline for the Candlelight group and services for Christmas, Easter and Harvest. I can wholeheartedly recommend this booklet which would be invaluable to anyone involved in worship for people with dementia, whatever the setting, and the authors are to be congratulated on the comprehensiveness, clarity of expression and common sense of this publication. I came to reading this book with very little background knowledge about dementia. The author, a consultant clinical psychologist working with older adults in the West Country has produced a textbook which expands, explains and illuminates this very complex area. The book is well organised, well written and reflects significant research and professional experience of working with people with dementia. There is an extensive discussion about the terms and Bender argues that a care approach informed by a number of inter-professional perspectives can best support those living with dementia. He is particularly good at emphasising the importance of social context in our approach to care. I am not qualified to evaluate this particular psychological model of dementia, but commend the book as an important contribution to our understanding of dementia through its comprehensive study of the psychology of dementia and its critique of a number of perspectives on dementia. The book significantly adds to Jessica Kingsley's reputation for major pieces of work in the area of care for older people. This volume deserves a wide circulation amongst professionals, academics and students in the field of Dementia Services. I hope that we can find ways of relating these theories to practice so that we can all continue to strive to improve the quality of care amongst nurses, carers and social workers. Eileen Shamy, Jessica Kingsley, 2003, 224 pages, ISBN 1-84310-129-7, £16.95. 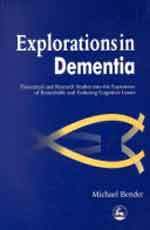 This is a book for those actively engaged in or interested in spiritual ministry to persons with dementia. Shamy draws heavily upon her experience, making this book very personal in its approach. I appreciated this style, feeling that the anecdotes anchor the book in the realm of what can be done rather than the theoretical world of the 'maybes'. This very personal style also makes this book easily accessible. The late Eileen Shamy was a New Zealander, teacher, Methodist minister and a pioneer in ministry to people with Alzheimer's Disease. The book was originally published in New Zealand in 1997 under the title 'More than Body, Brain and Breath' and has now been edited by Albert Jewell and Mannes Tidmarsh, 'to make it more accessible to readers outside the UK.' It is a very personal book and in part is a casework journal, at other times a record of a spiritual encounter between the author and the people to whom she ministered. In reading it, I felt the actual pastoral encounter was more important than the dementia. Eileen Shamy writes as a Christian minister and her imagery is drawn from Christian scripture. 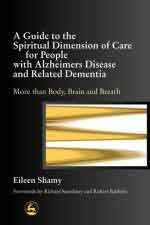 The main concepts of the book, those of spirituality, retained through dementia, and personal worth should be acceptable to people of most world faiths. I take away basic things from this book such as the need to re-member people in my ministry, and to assist re-mind-ing them by my approach to their situation. For anyone who is involved in ministry to someone with dementia this is a solid starting point and would fit well on the bookshelf of the study as well as being engaging enough to be on the bedside cabinet. Major David Tribble (Salvation Army) - reprinted with permission from the CCOA Dementia Group Newsletter April 2004. Memory's Tomb: dementia and a theology of Holy Saturday. This is the first in a new series of Aspects of Ageing Papers from MHA Care Group which hopes to build on the solid foundations laid by the Halley Stewart Age Awareness Project. Written by an ordinand in the URC, Suzanne McDonald, it attempts to find a theological language for dementia in the light of Alan Lewis's exploration of Holy Saturday as a no-man's land and time of waiting. She relates this to Malcolm Goldsmith's 'remembered by God' model and concludes that 'we can offer the true depths of God's promise that our identities are upheld in God's own remembering'. This booklet, published by the Christian Council on Ageing Dementia Group, is designed to assist with practical issues to do with five major world faiths. 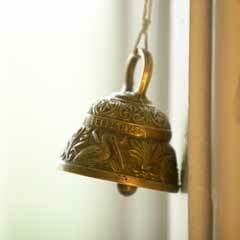 Addressing spiritual needs is essential to good all round care and religious belief and practice is for some people a vital part of their spirituality. This publication contains some basic introductory background information for each world faith (including Christianity) followed by a brief selection of prayers and readings from each faith which carers might be able to use with people with dementia, or others for whom they are caring. A Special Kind of Care. MHA Care Group commissioned this research from the Bradford Dementia Group shortly before the death of Professor Tom Kitwood. It is a longitudinal study of 93 residents with dementia in ten MHA care homes. The aim was to contribute to understanding of well-being and the factors which promote it in long-term care. The team gathered information about people's well-being from records, questionnaires, rating scales and interviews. Key findings confirmed that people with dementia were striving to make sense of and actively to respond to the physical and social world around them. They showed signs of four aspects of well-being - identity , sense of control, hope and social confidence. Their well-being was very fragile and could easily be upset by what might otherwise seem to be small events and trivial interactions. The special understanding of staff played a key role in contributing towards well-being. The report concludes with some important implications for practice and encourages providers to ensure that staff are given the recognition, support and organisational backing they need to enable them to give the special kind of care in the title.